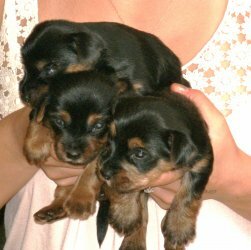 Beautiful minature yorkie pups for sale kc reg, vet checked, micro chipped, wormed and 1st injection. Lovely temperament and make excellent family pets. They are home reared and mum and dad can be seen. One female @ £400 and male pups are £350. A deposit secures and they will be ready for new home in early July.